쿠알라룸푸르 - 쿠알라룸푸르에 있는 호스텔. 쿠알라룸푸르의 지도, 쿠알라룸푸르에 위치한 호스텔 사진 및 후기 정보. 쿠알라룸푸르에 호스텔, 저렴한 호텔, 아파트, 게스트 하우스, B & B를 찾고 계십니까? 쿠알라룸푸르의 모든 최고의 가격은 kr.Dorms.com안에 있습니다. 매달 수천명의 여행자들이 이곳에서 예약을 진행하시듯이 고객님도 쿠알라룸푸르의 저렴한 가격에의 호스텔을 안전하게 예약하실 수 있습니다. 웹사이트에 고객님이 원하시는 핫 트렌디 시내 주변의 호스텔을 쉽게 찾을 수 있으며, 대학가, 기차역, 공항, 모든 쿠알라룸푸르의 관광명소에서 가까운 호스텔을 찾을 수 있습니다. 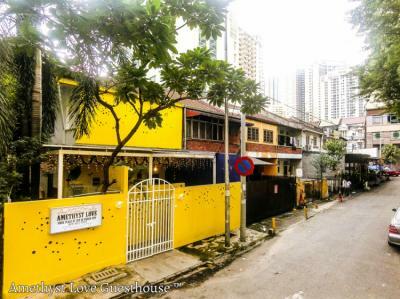 Located in Bukit Bintang, this hostel is within a 10-15 minute walk of Petaling Street, Jalan Alor & Changkat, Merdeka Square, KL Tower, KL Eco Forest,Indian St, Jamek Mosque are also within 15 minutes. Plaza Rakyat LRT Station & Merdeka MRT is 9 minutes by foot and Kuala Lumpur Masjid Jamek Station is 10 minutes. The beds are really comfortable lots of affordable dining options in the area. could do with a small table and additional plugs. Strategically located in Bukit Bintang road. Easy access to MRT, mall, city center. Linens and bed quality are very nice. Well furnished and brand new. Ideal for backpackers. There's a large common area, a decent sized room, universal sockets, working ac, unbeatable location. Easy access to markets, railways, bus stops. Breakfast is pretty basic with coffee/tea and toast. The staff is quite friendly and quiet when needed to be. The beds are cozy the rooms could be bigger. Large common area to hangout. 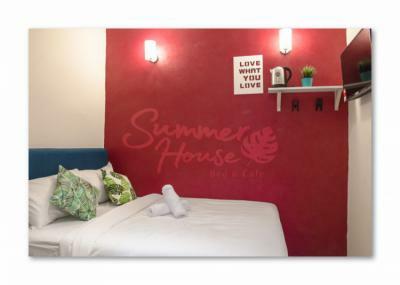 Our hostel located very close to every amenity a backpacker could possibly need. The Pasar Seni LRT/MRT station is a mere 5-minutes' walk away and the KL Sentral Station is only 1 station away There are many buses, convenience stores, money changers, restaurants, pharmacies, ATMs etc nearby. Starbucks Coffee, fast food outlets such as McDonald's, Subway, Nando's, KFC and many more are all within reach! 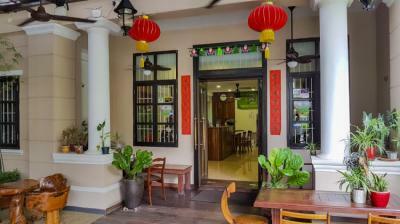 Close to MRT, Monorail train, GOKL free bus, nightlife, 24-hour shop, shopping mall and street food. 호스텔 괜찮습니다! 친절한 직원이 지역의 최고의 이해를 가지지 않았을 정도로 나의 이해에서, 숙소는 꽤 새로 웠던 것처럼 보였다. 좋고 깨끗합니다. 트리플 bunkbeds (노력하고 바닥에 두달라고) 위치는 중국 타운의 중심에 좋은 슈퍼 지역 지하철 역 닫습니다. 차이나 타운의 한가운데있는 완벽한 위치에있는 새로운 호스텔. 편안한 침대를 갖춘 깨끗하고 안락한 보안 객실. 욕실은 넓고 직원은 매우 친절합니다. Location is really good close to the stations and metro. The place looks new and clean which is really nice. Beds are big and comfortable enough. I love that there are lots of shops and dining options close to the hostel. There's a separate room for male and female and a cozy common room. Toilets could be bigger. 저희 호스텔은 차이나타운, 센트럴 마켓, 스리 마하마리암만 사원(Sri Mahamariamman Temple)에서 보도 5분 거리에 위치하고 있습니다. 트레블허브 게스트하우스에서는 매일 간단한 아침식사는 물론 차와 커피가 온 종일 무료입니다. 여행 지도도 무료입니다. 현지 음식점이 호스텔 바로 옆에 위치합니다. 타임 스퀘어까지 걸어서 15분, 그리고 부킷 빙탕(Bukit Bintang) 지역이 걸어서 20분이면 도착할 수 있습니다. 쿠알라 룸푸르 국제 공항은 차로 45분 거리에 있습니다. 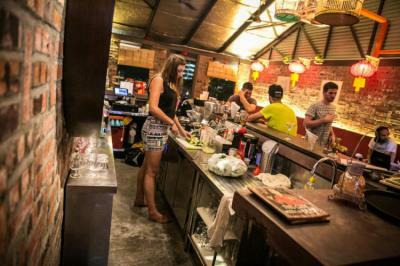 The hostel is surrounded by loads of shops, restaurants and street food stalls. Rooms are quiet and clean which is surprising when you are surrounded by the city center. The staff went above and beyond to help their guests. The host/owner who runs the place runs it with enthusiam and passion. You can really see that he cares about the guests and make sure that they are comfortable during their stay. Sheets and quilts are cottony clean and comfortable. Breakfast was imple yet fulfilling. Cereal, oatmeal with tea and coffee just enough to start the day exploring. The hostel was friendy with me and the atmotsphere good as well to meet other backpackers. I recommend this hostel. This is hostel has good value. good locaation and nice beds. KL은 완벽한 아시아 사이버 도시입니다. 역사적인 사원과 회교 사원은 우주 시대의 타워와 쇼핑몰로 어깨를 문질러줍니다. 무역상의 포장 마차는 매끄러운 두리안들과 위조 된 핸드백으로 높이 쌓여 있습니다. 무성한 정글 경관과 지역 주민들이 모노레일 자동차를 타면 와이파이가 가능한 카페에서 카푸치노를 마시거나 맛있는 거리의 호커 음식을 즐기실 수 있습니다. KL : 페트로나스 트윈 타워 KLCC, KL 타워 & 버드 파크, 잘란 알루 푸드 스트리트 & 차이나 타운 - 현장에서 우리는 도시 내 투어를 준비하는 것을 도와드립니다. 차이나타운, 센트럴 마켓, 스리 마하마리암만 사원(Sri Mahamariamman Temple)에서 보도 5분 거리에 위치하고 있는 트레블허브 게스트하우스에서는 매일 간단한 아침식사는 물론 차와 커피가 온 종일 무료입니다. 여행 지도도 무료입니다. 현지 음식점이 호스텔 바로 옆에 위치합니다. 타임 스퀘어까지 걸어서 15분, 그리고 부킷 빙탕(Bukit Bintang) 지역이 걸어서 20분이면 도착할 수 있습니다. 쿠알라 룸푸르 국제 공항은 차로 45분 거리에 있습니다. We stayed in some clean dorms. 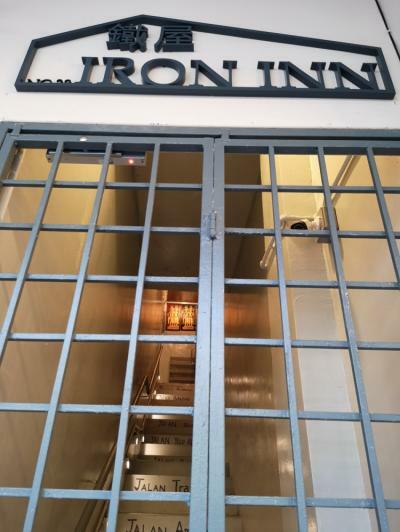 So I would stay again in this hostel next time I pass by Kuala Lumpur. 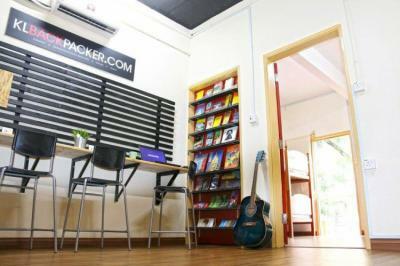 Good value hotel / hostel in Kuala Lumpur. Nice staff. L'auberge est très bien placé avec un arrêt de métro à 50m. En plein coeur de Chinatown. Accueil très sympa 24h/24h! Seul bémol, le petit déjeuner est un peu léger. Good value for your money. Friendly staff and clean rooms. 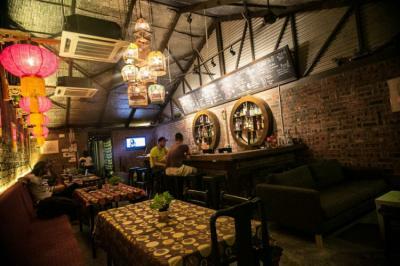 Good places to eat nearby and a very relaxed atmosphere among the staff and guests.